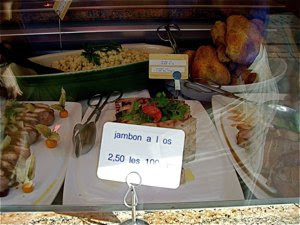 Enjoy - Food & Travel: Eduard Arzner, Master of Delicacies! My first small can of Foie Gras, was bought at Edouard Artzners shop nearly 30 years ago. I did not remember when the shop was located then, but I think it had another location than today. I am so pleased to see that the shop is still around. I know many have strong objections to Foie Gras. The objections are based on animal rights, and genuinely reflect high morals. Still food made from animals often includes distress, and some foods are rather grotesque. I love suckling pig, animals slaughtered just after birth. I personally think that other standards must be set for the treatment for animals, but try to limit the amount of distress to the lowest level possible. I close my eyes to the production of foie gras made from ducks or geese, as I love it passionately. I remember when I visited his shop 30 years ago; they sold fresh goose liver paté with truffles in industrial quantities. This as the International community in Strasbourg has a lot of entertainment. 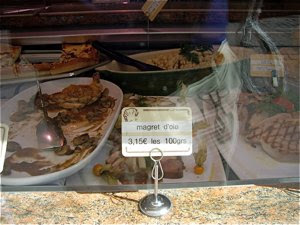 As I ended up with 50 grams of the stuff, the customers bought it in kilos – freshly made. What impression did that make, as I knew how much my little can cost. The shop of Edouard Artzner is today located by Place Kleber, the main square in Strasbourg. 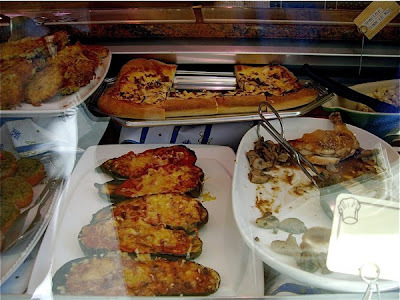 Here are some of the scrumptious dishes on display in his window. Fancy a duck breast, and rather a goose breast. Bigger, better, and more succulent. Here in slices, prepared the way a good duck and goose breast should be, pink in the middle. Ham with the bone, here under offer at €2,50. In the background roasted poussin, i.e. small chicken and roasted regular chicken.